Raision seudun koulutuskuntayhtymä (RASEKO), EfVET member from Finland, is involved in myVETmo aims to provide easier access to European stays abroad for young people with special needs. myVETmo aims to provide easier access to European stays abroad for young people with special needs. For the sake of an including vocational education it is necessary to enable access to stays abroad for all adolescents, in particular young people with little or no experience in this kind of educational services. simplifies the connection between personal assistance and self-responsibility. The app is meant to provide learners with useful instructions and prompt assistance by personal supervisors. During their stay they have the opportunity to gain further experience and knowledge in their chosen field of vocational education in an international context. Furthermore the students develop their own individual video based self presentation to improve their chances in future application processes. 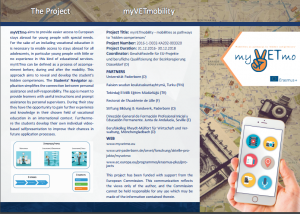 The project consists of three intellectual outputs: The Students‘ Navigator, the Video-Based Self-Presentation and the Guidelines for Inclusive Mobilities. The Students‘ Navigator is an easy-to-handle mobile application which accompanies the student throughout their stay abroad. To enjoy the full benefits of the application, the user needs to register first. Once the registration is completed, the student can enter the platform with his/her new created log-in-data. The application offers features which facilitate the process of creating an individual professional application video which is called Video-Based SelfPresentation. The application video should include information about the students‘ current situation, experiences and interests during their mobility process. This approach is based on the ability of self reflection and includes an intensive examination of personal strengths and weaknesses. Therefore, it builds a connection between gained experiences during the stay abroad and the labour market. 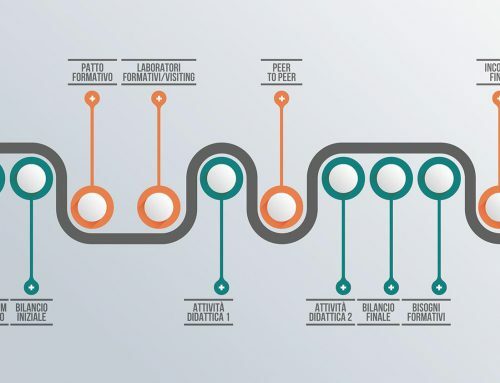 This process supports a strength-based dispute with both, present and new gained learning and work experiences.